I know that I've been neglecting the blog again. I got sidetracked with projects and paperwork. 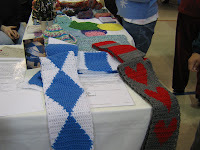 Our CGOA Chapter is working on the "60 Scarves in 60 Days Challenge" on "Ravelry". We are planning to donate the scarves to a local YWCA and the PA Breast Cancer Coalition. Then came this year's announcement about the Special Olympic Scarves. We've participated in the SO project for the past two years, so we're making scarves and donating them this year. In just a week or so we start on the "Caps for Good" project. A joint effort with Warm Up America and Save the Children, these caps will be collected and sent to poor women in other countries. This is a very important project and we're eager to participate for our second year. 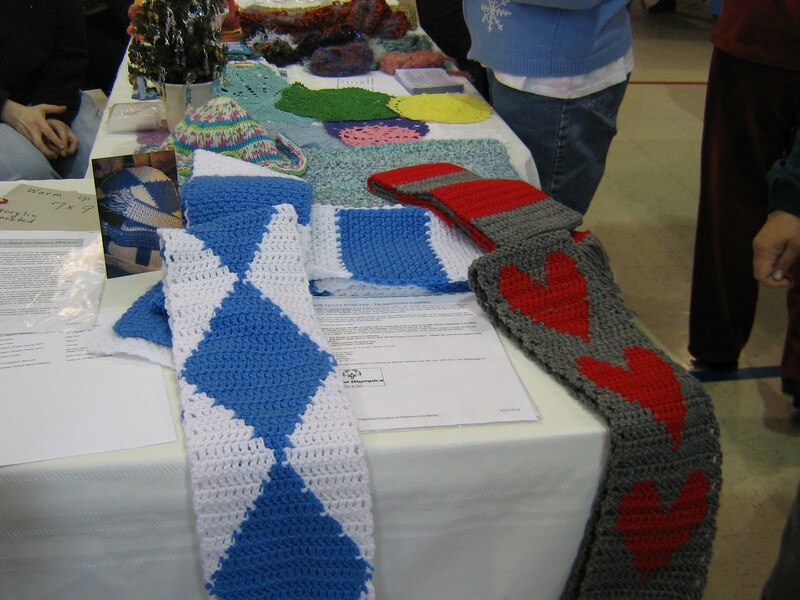 The scarves are already being given to me, so I want to set up a system in the back of my car for organizing the various projects until each group is given to a "chair" person who will box and ship them, or deliver them locally.